The Jewish holiday of Sukkot is a weeklong celebration of the harvest season and commemorates the protection God provided for the Jewish people once they left Egypt. It’s a big one. Growing up in a modern orthodox community in the suburbs of New Jersey, I spent my early days in yeshiva (Jewish day school) and synagogue often experiencing a degree of disconnect between Jewish ritual and spirituality. The efforts I make reconciling this disconnect continue to play out in my work. Music for me not only serves as a source of creativity and self-expression but empowers me with the ability to both reclaim and redefine Jewish ritual and Jewish Identity. The lulav plays a crucial role in the observance of Sukkot. 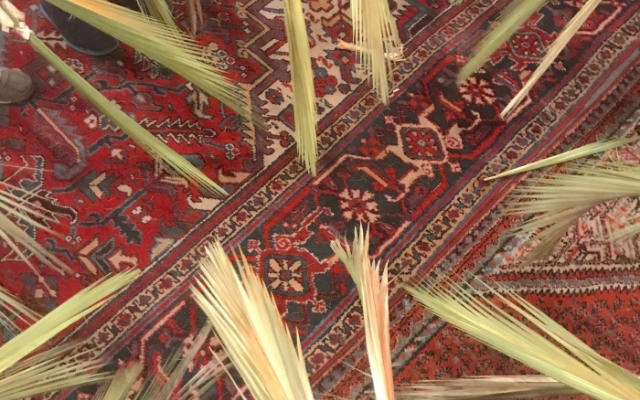 It is the palm bound with myrtle, willow and paired with the etrog (citron) to be shaken in prayer. For the lulav to be deemed kosher (fit for use), it must possess a multitude of characteristics relative to size, shape and color. Once a blemish is spotted, the lulav is considered pasul (impure – unfit for ritual), and is discarded. I grew up leery of a design that enabled the few to determine the who, how, when, where and why of Jewish ritual, culture and community connection. 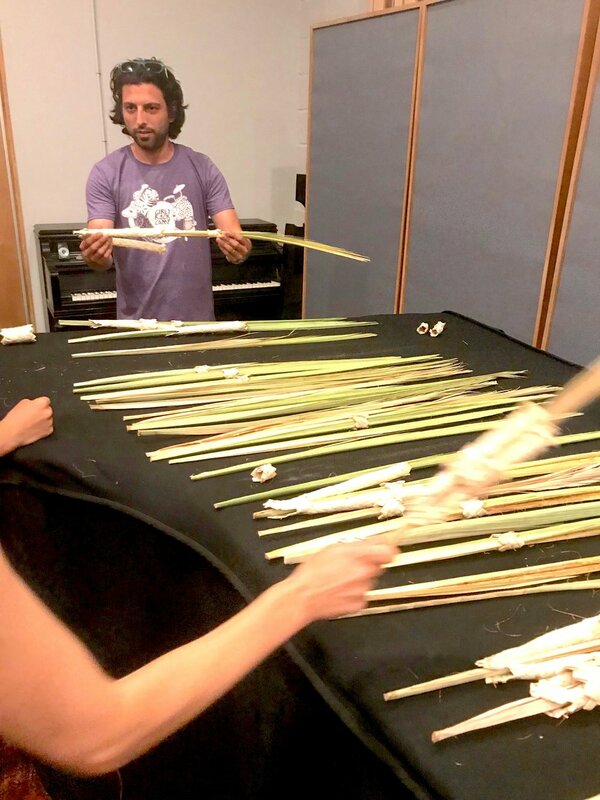 When putting together a musical evening for Asylum Arts in relation to the holiday of Sukkot, I knew I wanted to design an inclusive evening steeped in ritual of movement and sound. Last month the Asylum Arts community, a community whose beauty lies in its diversity, gathered in unity in celebration of Sukkot. We didn't gather in a synagogue nor did we gather in a sukkah. We gathered in the recording studio, a sacred space, where we formed a circle, pressed record and together for 45 minutes, shook the lulav. Since last November it's been a challenge finding a balance between the personal and the collective; where the self-seeking creative is met by a call for civic engagement. This struggle has instilled in me a resolve to make work with focus, integrity, drive and energy. The sound recording of the lulav captured in the studio will be included on my new album, Overview Effect. The musicians featured on this record come from all backgrounds including Argentina, India, Pakistan and the United States. As a result, embedded in the music are messages of tolerance, diversity and inclusion -- messages I hold dear.